The carcasses of roughly 60 dead cats and a dead dog were found in a van in an Elgin driveway Wednesday morning. The animals were discovered by animal control officers at a residence on the 200 block of Villa Street after a city worker alerted officials. The man who lived in the home, William Tinkler, was questioned about the carcasses Wednesday. Charges are pending. Tinkler confirmed to authorities that he'd put the bodies into his van after they died. He said he had another dozen cats living with him. "I saw cats come up to him and just jump on his shoulders and I thought he was great saving all these cats. I never dreamed there was anything dead in the house," said neighbor Karon Snodgrass. Charges pending against Tinkler include animal cruelty, violation of owners' duties and violation of the dead animal disposal act, said Elgin police Lt. Dan O'Shea. Animal control officers said they'd captured several live cats inside and outside the home and transported them to a nearby veterinarian for a wellness check. 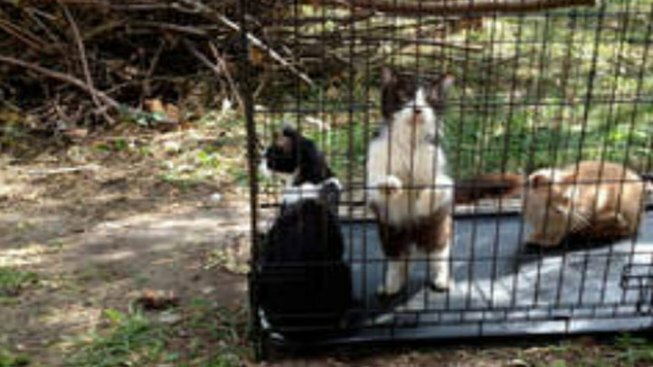 "If the cats are healthy enough to be taken into custody or taken over by a person whose qualified, we'll direct them to the veterinarian clinic," said O'Shea.